Ryan is interested in utilizing Manual Therapy techniques including Spinal Manipulation, Instrument Assisted Soft Tissue Mobilization, and Functional Mobilization, to help patients with Orthopedic and Sport related injuries. Ryan has an extensive background in CrossFit, beginning in 2010 at Champlain Valley CrossFit, in Burlington VT. Ryan received his L1 in 2012 and has coached at several boxes including Champlain Valley CrossFit, CrossFit The Swamp, and CrossFit Invictus since then. Ryan was a competitor at the 2013 CrossFit North East Regionals on Team Champlain Valley CrossFit with an overall 16th place finish including a 5th place finish in “Jackie”. 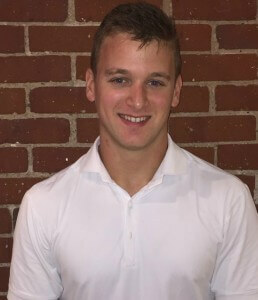 Ryan has used this extensive experience to further his knowledge in movement quality and biomechanics. Ryan is currently employed as a Head Coach at CrossFit Invictus.